Exterro® Inc., the preferred provider of software specifically designed for in-house legal and IT teams at Global 2000 and AmLaw 200 organizations, today announced the immediate availability of the Exterro Orchestrated E-Discovery Suite on Microsoft’s cloud service provider, Microsoft Azure. OpenText™, a global leader in Enterprise Information Management (EIM), announced it has acquired Catalyst Repository Systems, Inc., a leading provider of eDiscovery solutions for corporate legal departments and top law firms. It’s one for the record books! 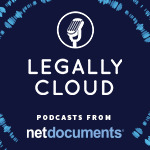 Today at Legaltech, cloud legaltech leader DISCO announced record-breaking 2018 results and plans for continued expansion in 2019. Today at Legalweek, Relativity Trace, a proactive compliance monitoring app built on top of the Relativity platform, announced a new partnership with Globanet. Relativity, the e-discovery technology company, announced that its SaaS product, RelativityOne, has become the fastest-growing product in the company's history, with 420% percent growth in the past 12 months, more than 12,000 workspaces, and more than 2PB of data currently under management. 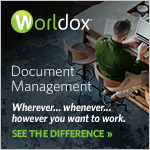 Kennedys, a global law firm with expertise in litigation and dispute resolution, today announced its selection of DISCO as its preferred edisclosure partner. Today at Legaltech New York, CloudNine™ announced substantial technology enhancements and updated product names on four of its discovery software products.